Inquiring Scholars. Healthy Individuals. Contributing Citizens. 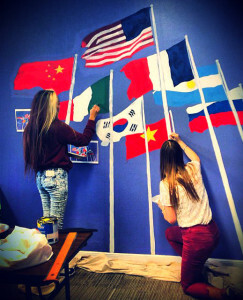 We are a WASC-accredited independent college-preparatory and co-educational private high school combining American and International students in one “universal classroom” with a collaborative community spirit (academically and beyond). Our love of learning inspires to cultivate integrity, inclusion and internationalism, integrating the world one student at a time for almost 38 years. Woodside International School was founded in September 1976 as Wildshaw School. The core enrollment during its first year came from students the Headmaster taught the previous year at another alternative private school. Others came from families responding to local ads. The school was initially run as a one-room schoolhouse teaching K-10th grades. It was located at 4429 Cabrillo Street near 48th Avenue in San Francisco, in what had originally been a laundry service store. In its next three years, Wildshaw grew from 16 to 40 students, and limited enrollment to 6th grade and above. Wildshaw re-located to 385 Ashton in 1979. Its first graduating class of 5 students graduated in June 1980. Wildshaw was both fully accredited and approved by the U.S. Immigration and Naturalization Service to accept international students in 1985. After the Loma Prieta Earthquake in 1989, the school moved to 1555 Irving and re-named itself Woodside International School. The Wildshaw Foundation was then established to raise contributions in support of Woodside students. The school has attracted an exceptional faculty of teachers educated in fine colleges and universities from the United States and abroad. 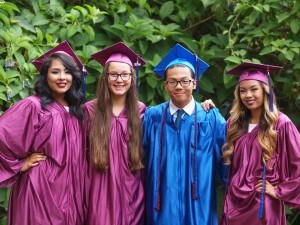 Our student graduates have entered such colleges as UC Berkeley, UC Davis, UCLA, UCSC, M.I.T., Reed College, Stanford, Cal. Tech., Cal. State Poly, USC, San Francisco State, San Jose State and the University of San Francisco. 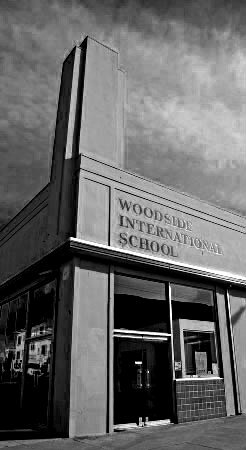 Woodside International School offers itself as a unique option among the choices of private, independent schools in the San Francisco Bay Area. 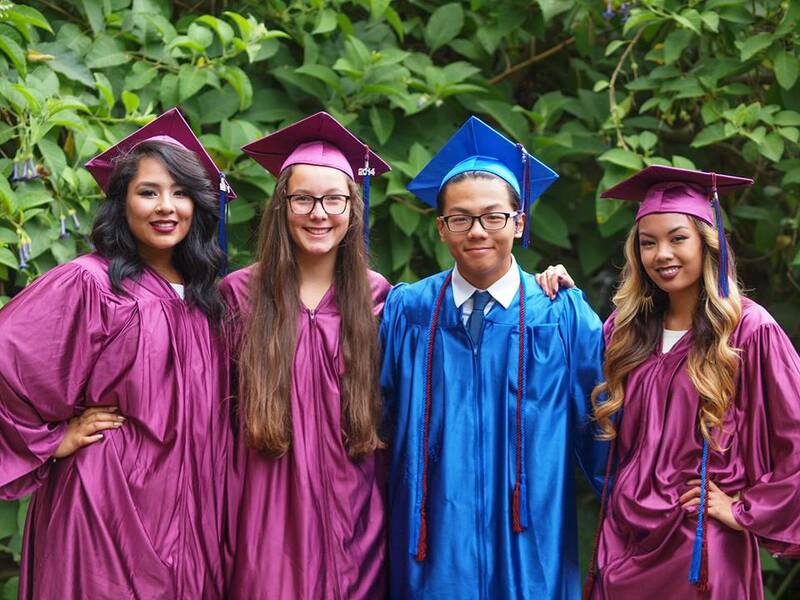 Over the past 30 years our program has proven successful for a diverse range of students, especially those who need a small school with a nurturing and inclusive environment. Woodside is one-of-a-kind as a school, as a philosophy, as a community and as an example for independent education. Our diversity, learning support and moral guidance truly engage and empower every kind of student both from the Bay Area, throughout the US and from overseas. We believe that every child can be academically successful and realize his or her potential in the nurturing environment of a school that truly cares about each student. We have learned that treating students with respect and trust makes them self-reliant, confident and kind individuals. One comment heard from a parent is that “the students are actually nice to each other.” This atmosphere makes it possible for our students to concentrate on learning. There is no bullying, no fear and anxiety on the part of parents. Our holistic and encouraging learning approach equally supports students of all walks of life, including (but not limited to) students who work best independently, require more guidance and direction, naturally set themselves high goals, want more inspiration and those who march to the beat of their own drum. Our program provides personal tracking of each student’s progress that larger schools are unable to match. Our faculty are committed to giving every student the individual attention they deserve, so each teacher works one longer day per week to supervise and lead our afterschool Homework Club. Our students are global citizens, individually unique and an integral part of our local and international culture. Tolerance, diversity and mutual respect are at the forefront of all Woodside interaction. We teach learners to think and act beyond the confines of nationality, ethnicity and language. Our approach develops an all-inclusive view of the world, critical thinking and cross-cultural communication skills. Core coursework in Current Events and Philosophy, together with understanding social responsibility through Community Service projects, give our students a solid foundation in the universe outside the classroom. Our students understand from the first day of school that learning is a lifelong gift and does not stop at high school. The value of higher education is emphasized in collaboration among students, faculty and our College Counselor starting in 9th grade to develop a college entrance and success plan. Problem solving strategies, analytical/critical thinking, organizational and study skills, communicating opinions effectively and creative expression are all at the core of preparing our students for college life and becoming mature-minded thinkers and doers. We recognize that students express themselves in diverse ways (much like our teachers). Our broad, inclusive and rigorous curriculum is developed to value achievement in all areas. This can be in speaking, writing, art, music, dance, sport, math or science, or other. What’s important is creating a learning environment of self-expression, individualism and understanding among our future leaders. Our belief is that learning grows via direct experience and contribution to a bigger cause. Woodside students not only study, but also create, explore, contribute and lead. Beyond textbooks, students make their own resources, such as learning games, visual aids, community projects and structural tools. Our schools’ classrooms and exteriors are all painted by our students in community mural painting projects. We arrange on-going science experiments right outside on Irving Street. Research and class trips take place regularly at the city library just two blocks away. We present an annual Art Expo to showcase our students’ love for music, fine arts, performing arts and other related talents. 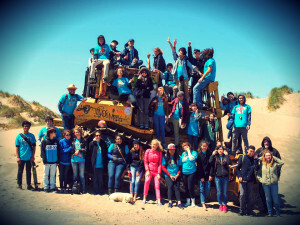 Adventure sports days are offered nearby in Golden Gate Park to keep our students healthy, active, involved and open to learning new activities beyond the gymnasium. We do not have a large campus, a sports complex, cheerleaders, or a library. We put our resources into our teachers. We do not distract them with paperwork to allow them to focus completely on our students. And because our students are well-behaved, engaged and excited about learning, our teachers can concentrate on teaching. This gives our teachers fulfillment in their work, our students happiness in coming to school and our parents peace of mind in knowing their children are part of a community that values education at the forefront. We understand that the support, compassion and engagement of students’ families are essential to their well-being and success in school. We take every opportunity to work with parents and guardians, and keep them informed about their child’s progress and concerns from day one. Parents can view their children’s assignments online and are encouraged to meet all of our staff. Families are an essential part of our community through cultural exchanges, outdoor events, concerts, art expos, science fairs and volunteer service in the local Bay Area. We are located in the Sunset District of San Francisco one block from Golden Gate Park. This gives our students access to all the diverse academic, cultural, recreational and community benefits of our wonderful city and is within easy commute distance from all over the Bay Area. 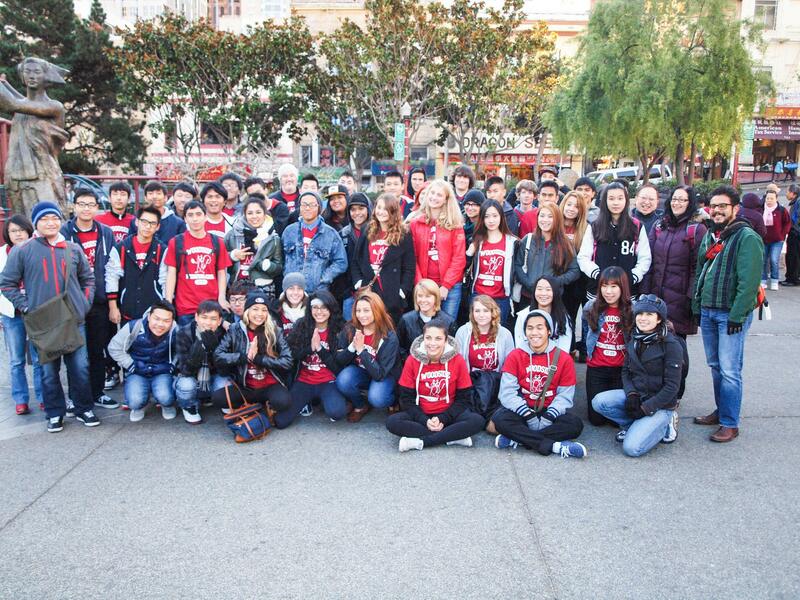 Our student body is a creative and diverse group of American and international students. We accept students in grades 6-8 for our English for Language Learners program, and we accept applicants for our 9th-12th grade classes. Whether the student’s talents and interests are in art, science, languages, philosophy or other subjects, Woodside’s comprehensive curriculum is able to engage a wide range of students. We believe that every child can be academically successful in a nurturing environment where the school staff truly cares. The curriculum is unique in its breadth. Woodside offers more courses in a given semester than the standard school schedule. Besides the major college prep classes, students take courses in philosophy, current events, PE, health, and art every semester through high school. All students benefit from this breadth, one that still focuses on the core classes. The result is a broader and more interesting educational experience. Our streamlined application process is online. We accept applications all year long. Apply for 9th, 10th, 11th, or 12th grade. Students in grade 8 may apply for our English Learners Program. Once you’ve applied, you will be contacted for a school visit and interview.